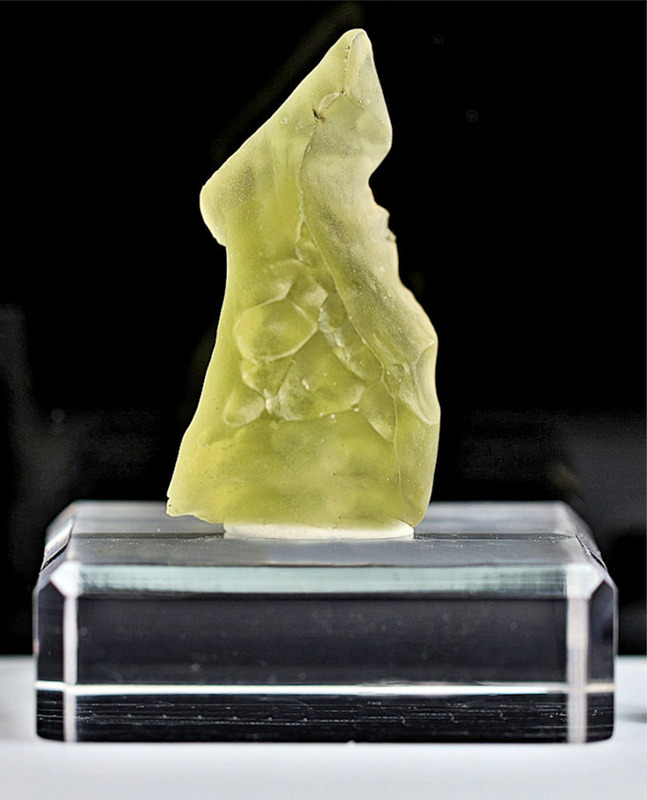 Libyan Desert glass is all-natural glass that scientists believe was created when an asteroid or comet impacted the Libyan Desert 26 million years ago. The sand transformed into coalesced droplets as it was heated and cooled by the atmosphere in its plummet back to Earth. 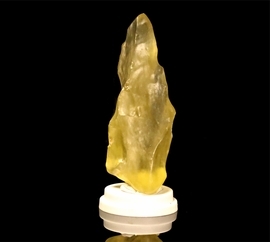 Very large to small glass shards and a gamut in variety of inclusions in the specimens have been observed. This distinctive glass was originally collected by explorers and nomadic peoples. 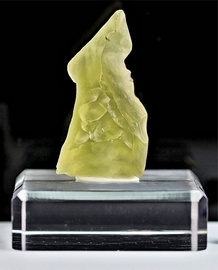 Along with a large variation in twisted forms and bubble-like froth features, this glass is also exemplary in visual effects and has artistic appeal as wind polished desert sculpture. 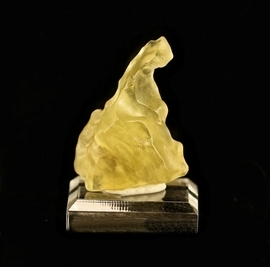 The ventifact look - the result of the desert winds pummeling, tumbling and abrading it - makes Libyan Desert glass one of the most exotic and exemplary natural glasses on the planet!